Welcome back to the movielike resonating sound world of The 23s. Already in 2008 the mysterious one-man band proofed with the album “Bolivia” that they are trying to do another kind of music – something that isn’t entertainment, something that isn’t show, something that goes gently straight to your soul. Now the producer from Nord-Rhine-Westphalia did it again and tuned in the longplayer “Flamingo”. Anew he delivers a special kind of cinematic journey music that grooves opposite to his other, more rhythm based hypnotic dance productions. Also as The 23s he produces pattern-based music, but it pursues a different intention: each listener should dive into a hallucinatory world of seen and unseen films that his inner eye creates unprejudiced. All ten tracks are romantic smooth operators. They put themselves in service of an artistic vision, in which the listener should get lost in music. The album can be seen as a love-letter to the movie scores of the French 70s cinema or the impressionistic sound arrangements you can hear in the early cinema of Peter Greenaway. 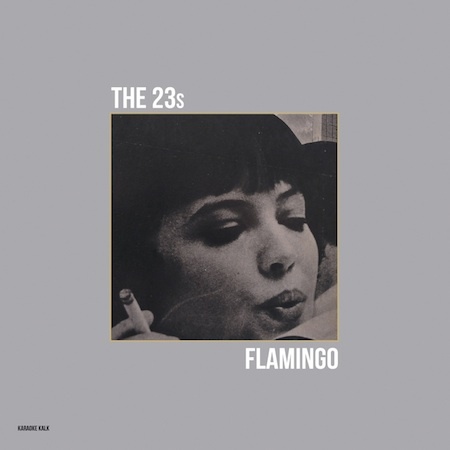 With double bass heat, discreet piano melodies, levitating guitar chords, some gentle horns here and there and beats that recollect the warm jazz influenced soul of oldschool hip-hop The 23s generate a sublime get-down-deep instrumental journey. You can listen to it attentive. Or you can just play it in the back while doing whatever you like to do. It is recommended to play “Flamingo” in a decent amount of volume as all loungey tracks begin to live bigger and brighter with sound intensity. If you play it flashy you will experience an atmospheric sometimes light-flooded, sometimes foggy 40-minute electronic journey that offers open-minded souls to fill the room between the notes with their very own milky fancy. Soon the album will be accompanied by a bunch of remixes tuned in and twisted by producers like Giegling and White artists Edward, Christian S of the Cómeme tribe, Canadian producer The Mole and the German post rock and electronic music band To Rococo Rot.